After driving to the Cabecar village and taking the picture of a soccer ball, we walked up a steep hill to their church and met with the church leaders. The meeting was what you would expect. We talked about church attendance, current struggles and needs, outreach efforts, etc. We prayed together and the meeting ended. On our way up the hill to the meeting I noticed this little guy following us. He was kind of shy but he kept his eye on us and didn’t seen to mind when I took his picture. In the first post about the soccer ball I mentioned the contrast between the field in this Cabecar village in contrast with the fields (and equipment) in Plano Texas. The determination and skill of the players is likely much the same, but the conditions as the game is played are vastly different. My grandson learns and plays soccer in an air-conditioned, in-door facility with new equipment, all the latest safety features, and well paid instructors. The kids from the schools where my children used to attend play ball in stadiums that cost tens of millions of dollars to build and have acres of parking for the fancy new cars that bring folks to the game. The Cabecar play outside in extreme heat and humidity. The equipment isn’t new, the field doesn’t have massive bleachers for the parents and friends that attend, there are no parking lots (which works well because the participants and their families have no cars). The thing that has no contrast is the rules. The rules of the game are the same in both places. 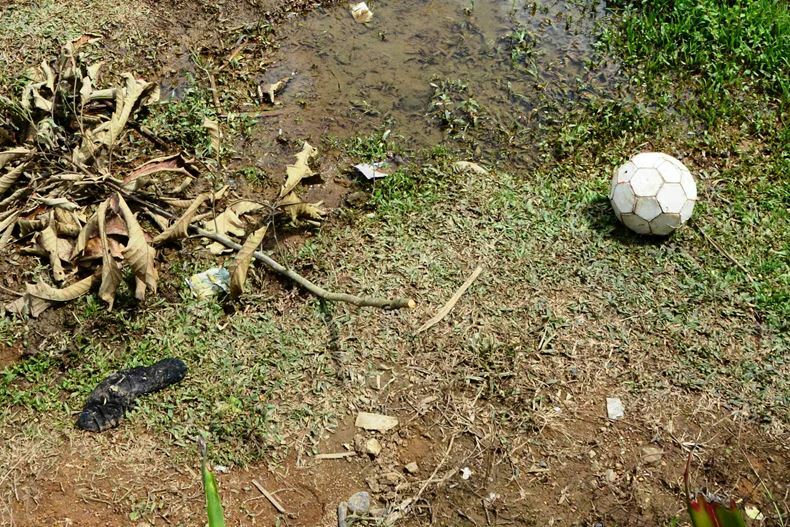 The rules don’t change with the field conditions. Everyone has to follow the same rules regardless of the conditions. This contrast opens my eyes to a similar situation in the church. The rules around salvation are recorded in the Bible. The rules are fixed and we all have to follow the same rules. 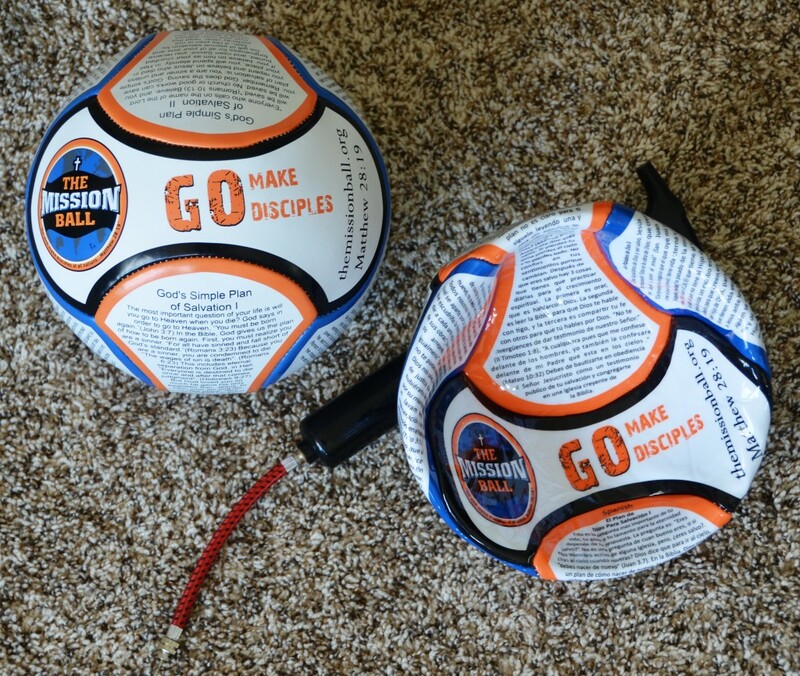 As it is with soccer, though, the church situation has a vast contrast. In the states, this or that denomination competes with some other denominations. There are churches in every community and the un-churched have plenty of outreach, plenty of activities, plenty of choices. Those who are part of a church have comfortable places to sit when they meet and there is always food and drinks nearby. The biggest threats seem to be whether the preacher will wrap things up prior to the football game kickoff. The Bible church in Costa Rica has a situation that is nothing like that. The competition is not with some other denomination that teaches the same basic Christian principles. The competition is open worship of stone idols, the competition is witchcraft, often the competition is the fact that there are no Christian churches in the village. Unfortunately, the contrast in condition doesn’t change the rules and when I looked at this picture I realized the stakes of the game are life and death. Even worse, the stakes are ETERNAL life and death. 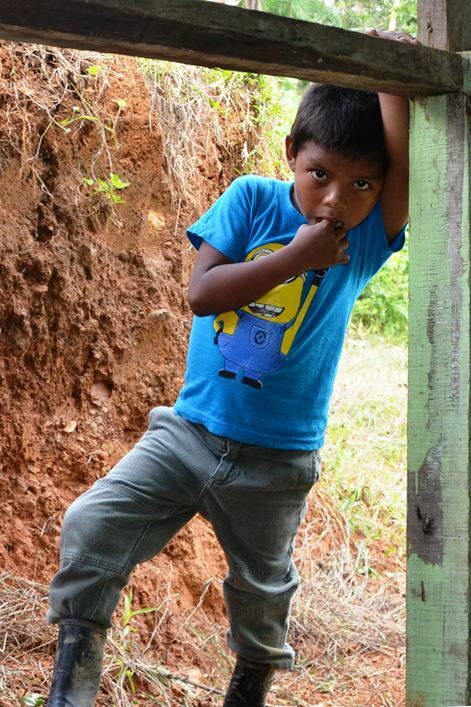 If our prayers, support funds, training, mission trips, and church building efforts come up short, souls like the one currently residing in this little guy will be lost for all eternity. Suddenly the prayers for safe passage as a four wheel drive heads up a mountain road were trivial and silly. I’ve always known we can’t change the rules of the salvation game. Now I get that we aren’t putting enough effort and resources into changing the conditions under which the game is played. 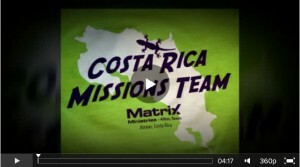 On July 18 we led a missions team to Atenas, Costa Rica to serve at Iglesia Biblica and Hogar de Vida Children’s Home. 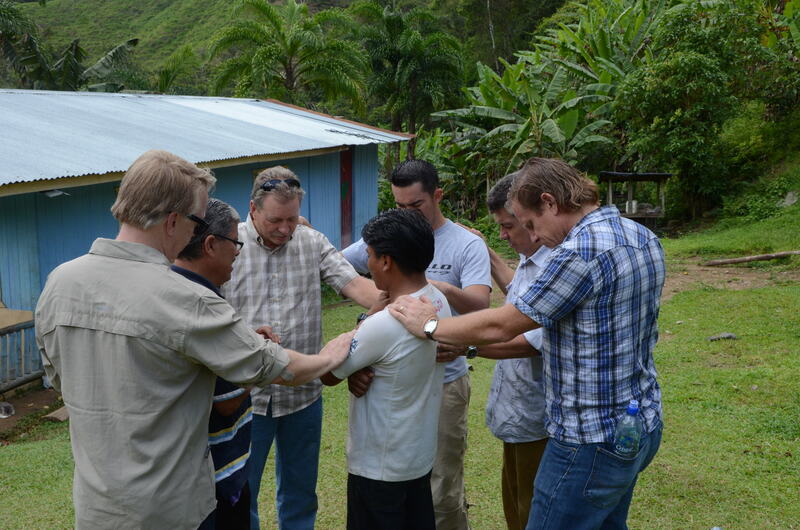 Part of the team worked with Iglesia Biblica to demolish and start rebuilding their children’s building. They were so productive that they got ahead of schedule and were able to spend a day helping to build a playground at Residencia de Vida, a home for at risk adolescents. Meanwhile, the other half of our team did several painting project at Hogar de Vida and helped the Tia’s (house mom’s) with the children in the homes. The blessing went both ways as we loved on the kids! It was a great week as we strengthened relationships with our Costa Rican partners and experienced God working through and in our lives to further His kingdom. please contact Cate Rader via email or call 214-213-4463. 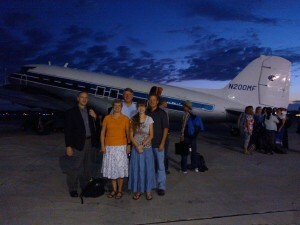 Our Haiti Team left this morning from Florida. While in Haiti we will be working with Pastor Jean Giles Julio of Eglise Evangelique Bethesda De Madeline Church. Among his many existing ministries, he has a vision to start an orphanage. We will see what God reveals to us concerning our role in his ministry and vision. Our base camp will be with Wilber Marsalis of Living Hope Haiti Christian Mission (LHHCM). Wilber’s ministry is to connect short-term mission teams to ministries in the area looking for long-term partners. A perfect fit for who we are. Our prayer is that God is leading us to an area in Haiti where Matrix Ministries can come along side existing Haitian ministries to further His kingdom in Haiti with long-term partnerships. Two elders (and the wife of one of them) from Grace Community Church (GCC) in KY will be accompanying us. They are also interested in a long-term partnership with a local church in Haiti. God led both MM and GCC on a very interesting path that has us arriving in Haiti with Pastor Julio and LHHCM. Please pray that we will see His will for us in His work in northern Haiti as we seek to join Him in what He is already doing. Keep us in your prayers this week!